After being the sole survivor of a plane crash in Peru, Juliane Koepcke spent 11 days in the jungle clawing her way back to civilization. 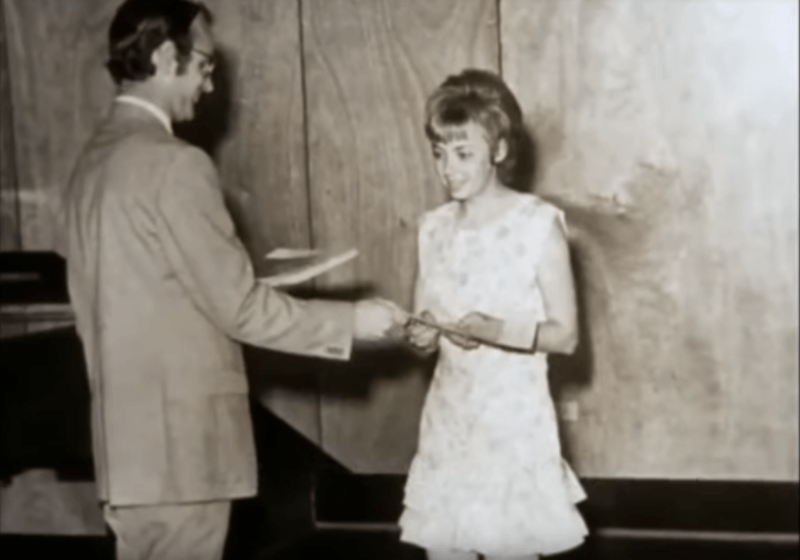 YoutubeJuliane Koepcke received her high school diploma just 24 hours before the crash. Juliane Koepcke had no idea what was in store for her when boarded LANSA Flight 508 on Christmas Eve in 1971. The 17-year-old was traveling with her mother from Lima, Peru to the eastern city of Pucallpa to visit her father, who was working in the Amazonian Rainforest. Juliane Koepcke was born in Lima on Oct. 10, 1954. Both of her parents were German zoologists who moved to Peru to study wildlife. She had received her high school diploma the day before the flight and planned to study zoology like her parents. The flight was meant to be an hour long. Seated in 19F, it was a smooth ride until the clouds grew darker and turbulence got worse. Suddenly, the plane was in the midst of a massive thunderstorm. At this point, the plane was in a swirl of pitch black clouds and flashes of lightning glistened through the windows. When a lightning bolt struck the motor, the plane broke into pieces. Then everything sped up. “What really happened is something you can only try to reconstruct in your mind,” said Koepcke. There were the noises of people’s screams and the motor until all she could hear was the wind in her ears. YoutubeMap of the flight path and the crash site. Still strapped to her seat, Koepcke had only realized she was free-falling for a few moments before she lost consciousness. She fell 10,000 feet down into the middle of the Peruvian rainforest. Juliane Koepcke had a broken collarbone and deep gash on her calf. But somehow she was alive. And she would spend the next 11 days struggling to stay alive. When she awoke the next morning, the concussion in conjunction with the shock only allowed for her to process basic facts. She had survived a plane crash. She couldn’t see very well out of one eye. Then she slipped back into unconsciousness. It took half a day for Koepcke to fully get up. She set out to find her mother but was she was unsuccessful. After she was rescued, she learned that her mother had also survived the initial fall, but soon died from her injuries. In the midst of looking for her mother, Koepcke had come across a small well. So began her journey down the stream. sometimes she walked, sometimes she swam. On the fourth day of her trek, she came across three fellow passengers still strapped to their seats. They were all dead; one of them was a woman. Koepcke poked at the woman thinking it could be her mother but it wasn’t. Amongst the passengers was a bag of sweets. It would serve as her only food source for the rest of her days in the forest. It was around this time that Koepcke heard and saw rescue planes and helicopters above, yet her attempts to draw their attention were unsuccessful. 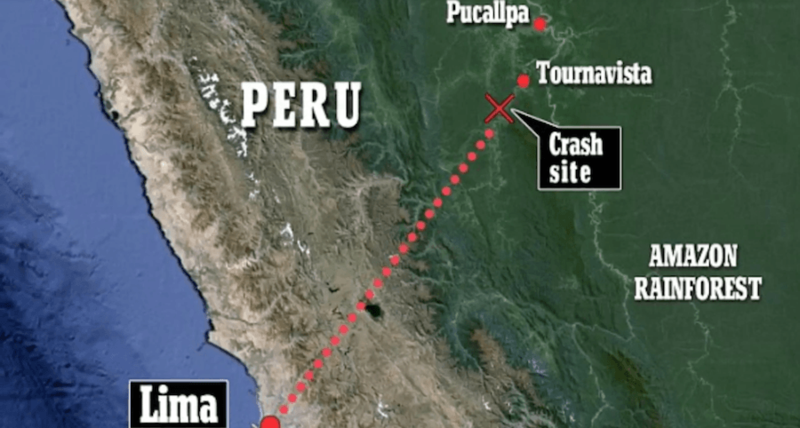 The plane crash prompted the biggest search in Peru’s’ history, but due to the density of the forest, the aircrafts couldn’t spot wreckage from the crash, let alone a single person. After some time she couldn’t hear them and knew that she was truly on her own to find help. On the ninth day in the forest, Koepcke came across a hut and decided to rest in it, where she recalls thinking she’d probably die alone in the jungle. Then she heard voices. And not imaginary voices. They belonged to three Peruvian missionaries who lived in the hut. “The first man I saw seemed like an angel,” said Koepcke. The men didn’t quite feel the same way. They were slightly frightened by her, and at first thought the could be a water spirit they believed in called Yemanjábut. Still, they let her stay there for another night and the following day they took her by boat to a local hospital located in a small nearby town. After she was treated for her injuries, Koepcke was reunited with her father. She also helped authorities locate the plane and over the course of a few days they were able to find and identify the dead bodies. 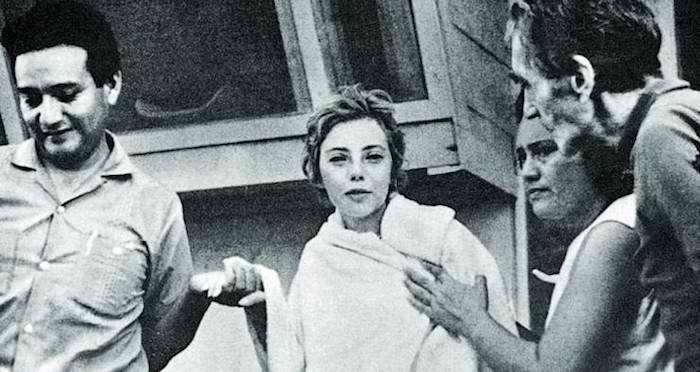 Of the 91 people aboard, Juliane Koepcke was the sole survivor. Because she was heavily questioned by the air force and the police, in addition to being thrown into the media spotlight, the mourning and grief didn’t register until later. Everything she had been through, her injuries, the loss of her mother. Koepcke developed a deep fear of flying and for years had recurring nightmares. She eventually went on to study biology at the University of Kiel in Germany in 1980 and then received her doctorate degree. She returned to Peru to do research in mammalogy. Juliane Koepcke married and became Juliane Diller. 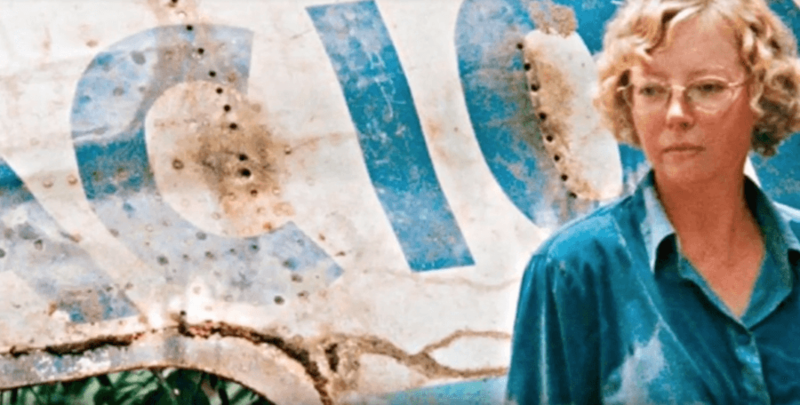 YoutubeJuliane Koepcke standing in front of a piece of the plane wreckage over two decades later. In 1998, she returned to the site of the crash for the documentary Wings of Hope about her incredible story. On her flight with director Werner Herzog, she once again sat in seat 19F. Koepcke found the experience to be therapeutic. It was the first time she able to focus on the incident from a distance and in a way, gain a sense of closure that she still hadn’t gotten. The experience also prompted her to write a memoir on her remarkable tale of survival called When I Fell From the Sky. Next read about Tami Oldham Ashcraft’s story of survival at sea. Then check out, these amazing survival stories.